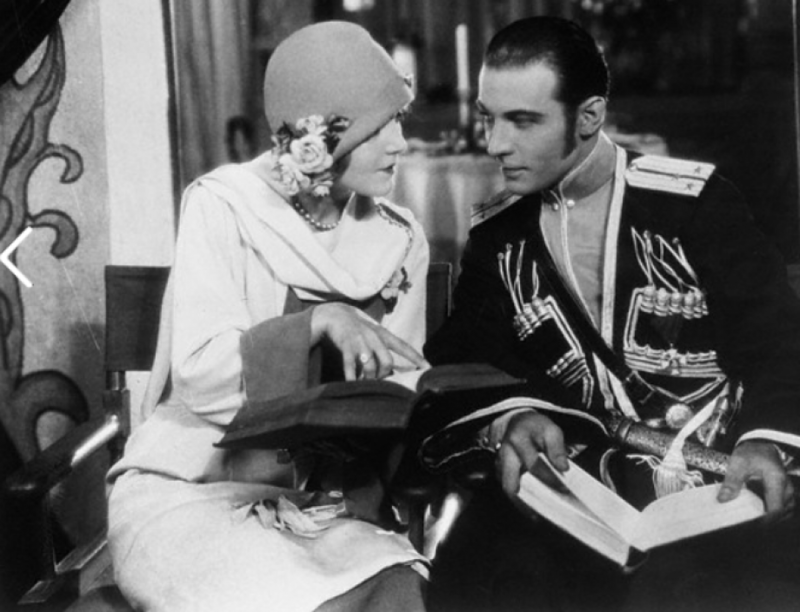 If the story of Rodolph Valentino romantic rise were pictured on sensitized celluloid, the plot would be laughed at as ludicrous. Miss Swanson’s elevation from the humble level of an extra to stardom was common place in comparison to the comet like career of the young Italian. He came to America, and impoverished farm laborer. In the steerage a few years ago. He washed dishes, swept floors and functioned as a busboy In restaurants for months and months, and more months. He trimmed hair and trimmed hedges with equal skill between Jobs. Just one thing he could do well, though no one suspected it. The lad could dance. Boyish, slim, strong and handsome, he could writhe, twist, and glide with ophidian grace. Maybe, the juggling of china across waxed floors developed this ability, perhaps one may learn artistry and celebrity in snipping hair at high speed, but whatever it was Rodolph could dance like a demon. Then abruptly came the golden opportunity. Joan Sawyer’s partner walked out on her one night, leaving the society danseuse flat as a discarded cold cream case. But he also left his dress suit and Joan, aghast and nonplussed, sought a substitute at the agencies. but In vain. Suddenly she thought of the handsome busboy whose highest ambition at the time was to be a handsome waiter, and she sought him out, for she had a notion that he could dance. He must dance! There was no out for him! Would he dance? He showed her and Joan marveled. Then arose the greater question. Would the discarded dress suit fit him? Like the skin of a snake! Into vaudeville then, and westward the course of empire took its way for the debonair immigrant. He stopped at the Pacific coast, slipped into Los Angeles, got a dancing part, and as his exotic appearance developed and be displayed strong screening emotional powers, he was soon writing his own contract and appearing as Rodolph Valentino. Bonnie Glass, now the stately Mrs. Ben Ali Haggin, will recall him as her dancing partner for a while, and so will Hilda Fenten, with pride.’ Nazimova and a girl. I guess it’s safer all around and I won’t have to be afraid. It isn’t easy, you know. I’ll pay I had some husky voice, too, before I had my tonsils and adenoids taken out.” You couldn’t have suppressed a smile at the ingenuousness of that remark, for Florence Cray’s voice is like a rasp running over a bars violin string, and she seemed to sense It, for she said with a grin: “I bray some even now? You know when I got back from teh South I came In my eld clothes. I couldn’t face the gang as a girl. But I’m a girl now, honest.” Florence Cray rose, and turning to the mirror, twisted her short thick hair, lock by lock, as though to stretch It, and mused aloud: “I’ll have to be a girl and get a girl’s job, but long silk dresses? gosh! and French heels!” She shuddered, then her eye swung to the mirror and her fingers toyed with the abbreviated hair and she asked In the first truly feminine query of the evening: “Say, in this long enough for a permanent waver” made love together In “Camille” and then he married Jean Acker, a sweet and simple little starlet of the screen. When they were divorced. he said: “She said aha was my soul mate, but really she was my checkmate.” Or perhaps this chivalrous bon mot as it were, was thought up by his press agent, but Rodolph stoat for it, anyway. Soon after he swept to the summit of film fame In “The Four Horsemen” and then he decided to wed again.